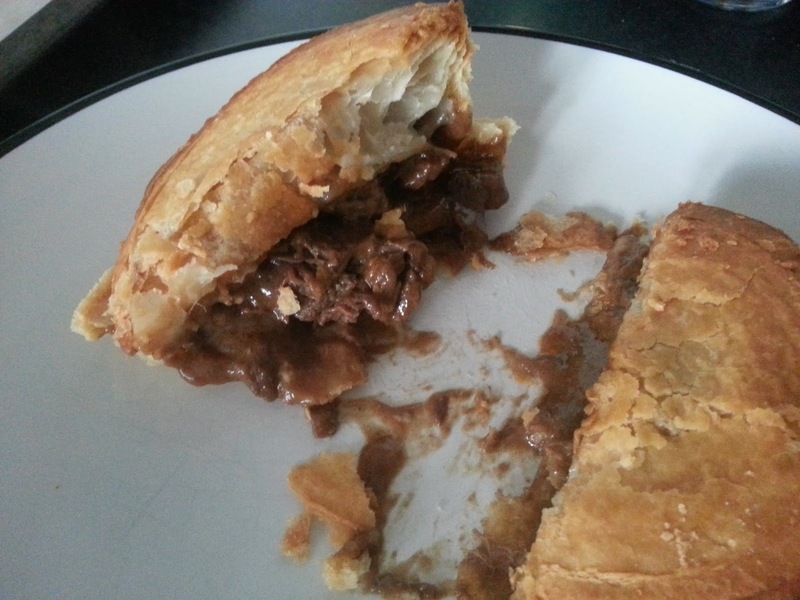 This is a steak and stilton pie from Lidl's own brand Deluxe range. This is a finalist from The Grocer Own Label Food and Drink Awards 2014, so let's hope for some Lidl surprises! Colour: The pies come frozen, and straight out of the packet they look very pale from the raw dough. Thankfully, after a spell in the oven they come out golden brown, although the lid surface doesn't look quite glossy enough for me - needs more glaze. 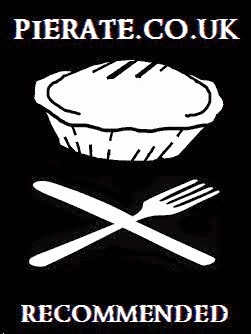 Condition: The condition of the pie is good, with no cracks, boil out or breakages. Cheapness: The pie was fairly cheap. For 2 pies, the price was something like £2.80 (unfortunately I can't remember the exact figure), so at about £1.40 each these pies are at the lower end of supermarket prices. Content: There are some good chunks of steak, and quite a strong flavour of stilton. Certainly not a pie for those who don't like blue cheese (I do). The pastry was crispy and flaky. Capacity: Most of the inside of the pie does seem to be taken up by pastry, leaving not much room for filling. These pies are therefore not very filling as they have poor capacity. Chewiness: The steak is tender and not chewy. It's good! 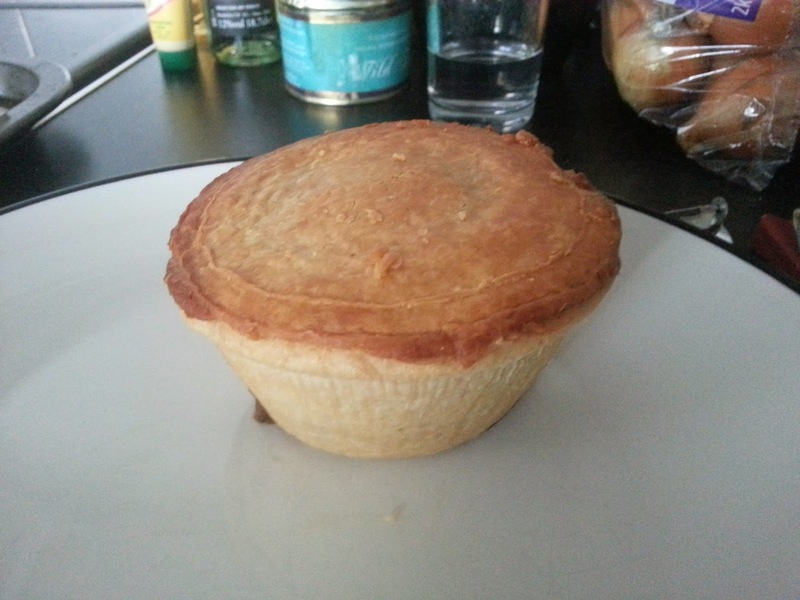 Consistency: There was a decent amount of gravy in this pie, but I still could have done with a little bit more. Overall, this was a good pie with good quality pastry and tasty filling, although this pie's capacity let it down. Strong flavour of stilton. We've rated lots of pies from Lidl and other supermarkets. See where this pie ended up in the Pierate Pie Rankings or find other pies of a similar flavour. I bought a Melton Mowbray de-luxe pork pie at LIDL It tastes like peppered cardboard. That's a real shame. Maybe we'll get round to rating that sometime - though you haven't exactly sold it to us! !